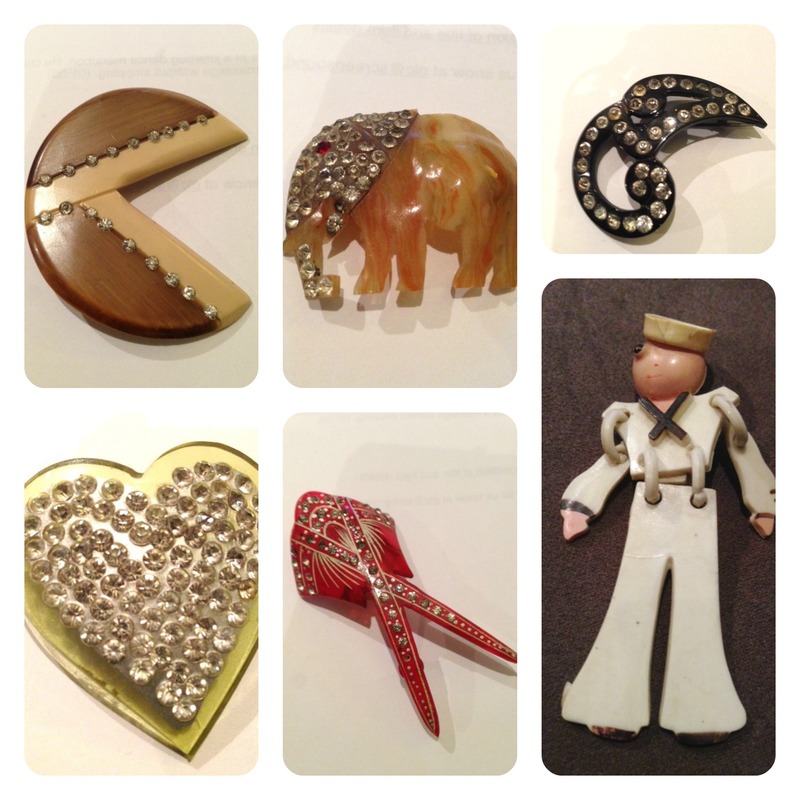 I have this lovely batch of 1930s celluloid brooches coming to my Etsy store. The Navy ‘Buddy’ is 1940s – WW2 era and very rare to find intact and has already been sold. If you are interested in the black swirl or red manta email me at violetsemporium@gmail.com as those 2 are still to be listed.